All frozen foods do not ship free as described above. Frozen Foods will ship on Tuesdays and Thursdays only with UPS Next Day Air delivery service for a single flat rate of $29.99. Due to customs restrictions, we are unable to ship this product to Canada, Alaska, Hawaii, or any other US Territories at this time. 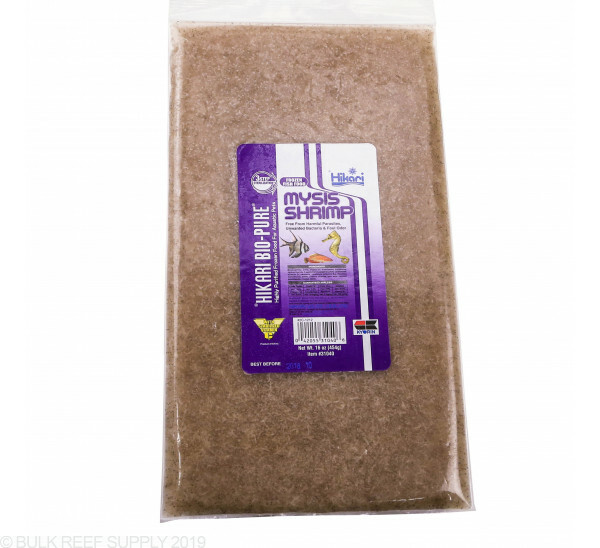 Mysis Shrimp is the most recommended food for reef aquariums. 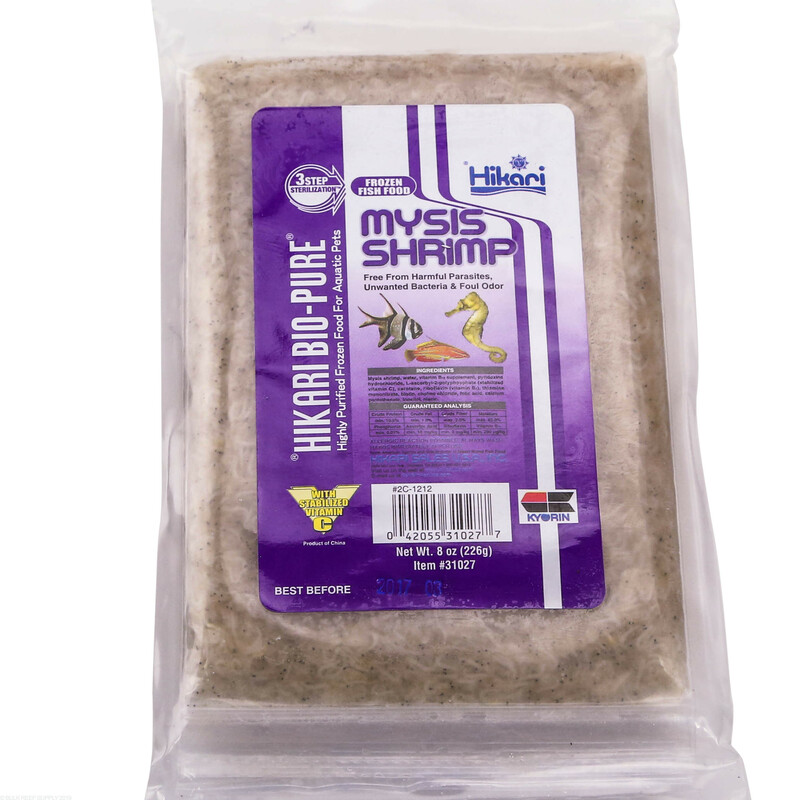 Mysis Shrimp are a staple, primary food source for marine and freshwater fish alike. 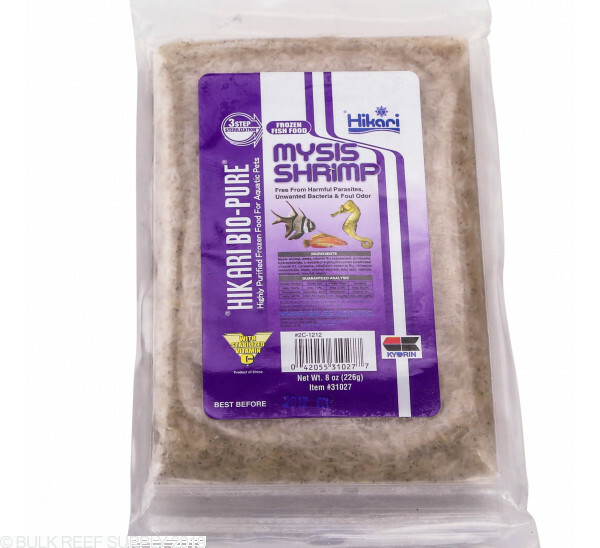 These whole mysis shrimp are gut loaded with nutrients, while being naturally high in amino acids which directly helps growth, and overall health that your fish. 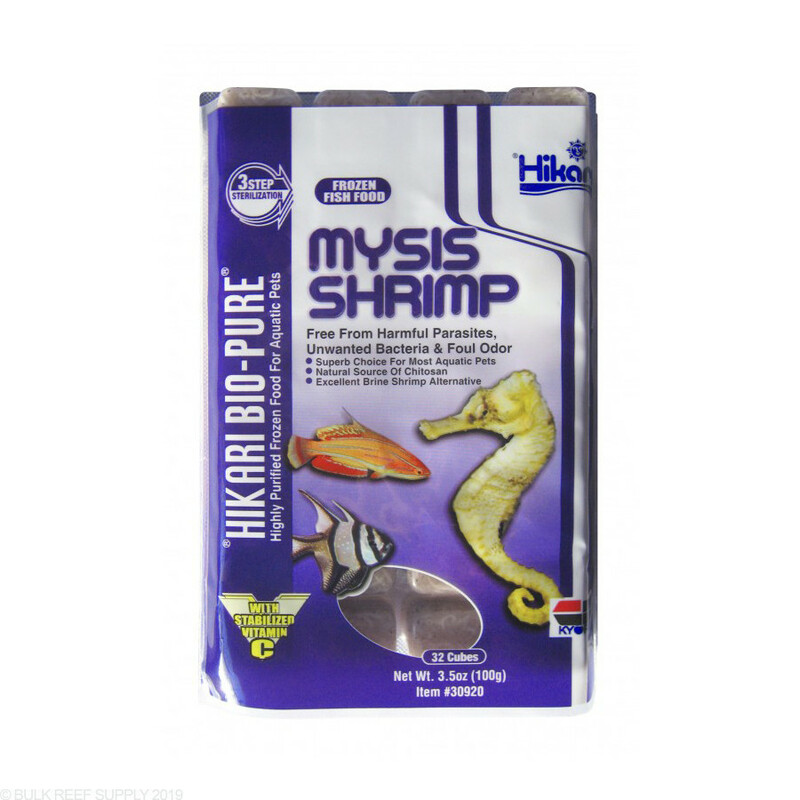 Hikari Bio-Pure Frozen Mysis Shrimp is an especially good diet for Seahorses and Pipefish. 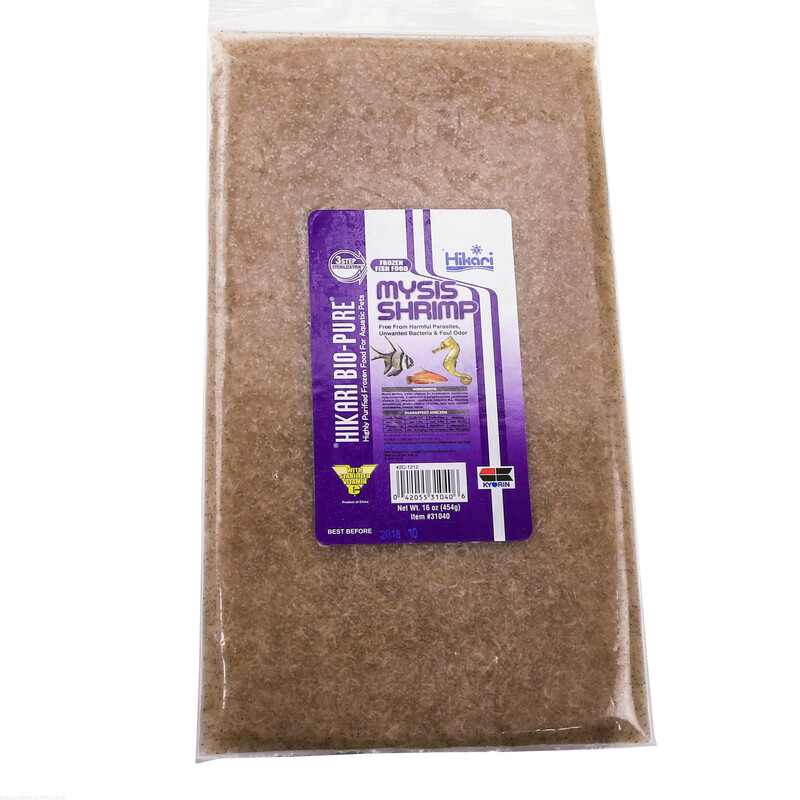 Mysis Shrimp have been the primary food source of reef aquariums for years and years. 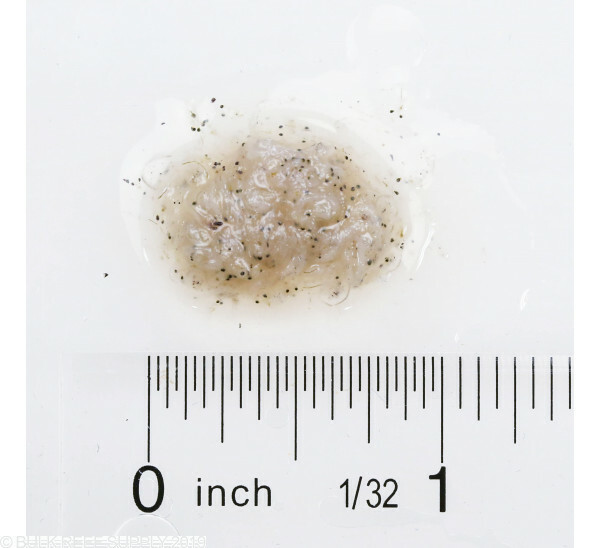 The small shrimp like crustacean is much like brine shrimp but contains much higher nutrient levels while still being an enticing food source for marine fish. 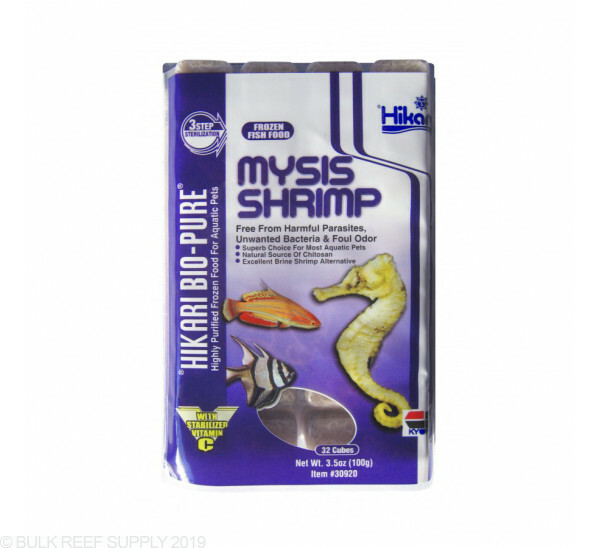 This brackish water species of mysis is a great primary food source for freshwater or saltwater fish. 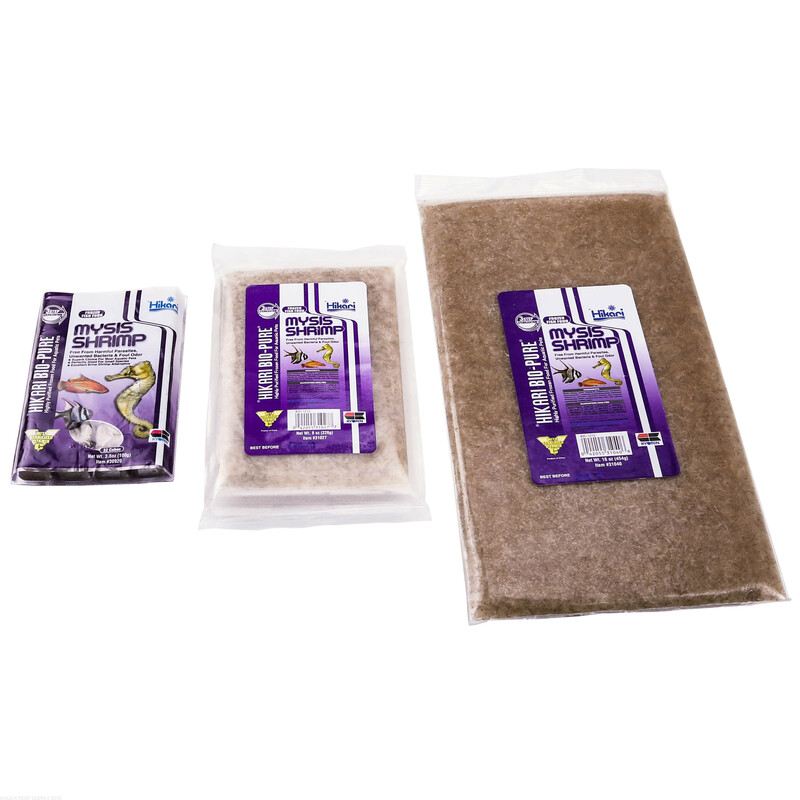 Feed only as much as your fish will consume in a 1 minute period multiple times a day. It is best to feed very small amounts multiple times a day over a single large feeding. Fish will naturally graze and scavenge for food throughout the day and by offering different foods multiple times a day will mimic their natural feeding instincts and lead to better coloration and overall healthier fish. 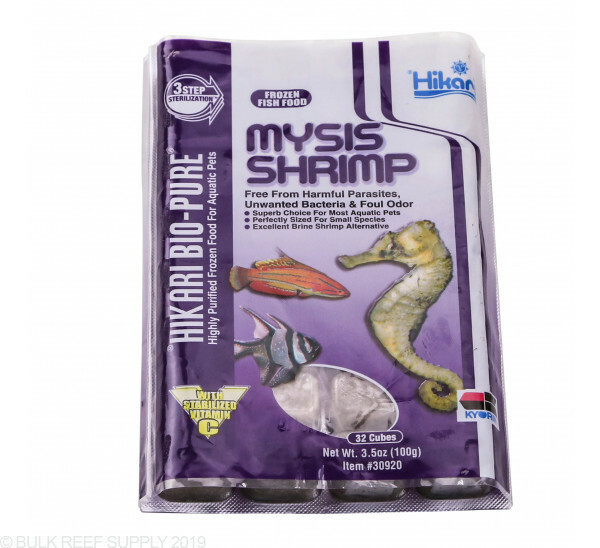 Mysis Shrimp, water, vitamin B12 supplement, pyridoxine hydrochloride, L-ascorbyl-2-polyphosphate (stabilized vitamin C), carotene, riboflavin, thiamine mononitrate, biotin, choline chloride, folic acid, calcium pantothenate, inositol, niacin. 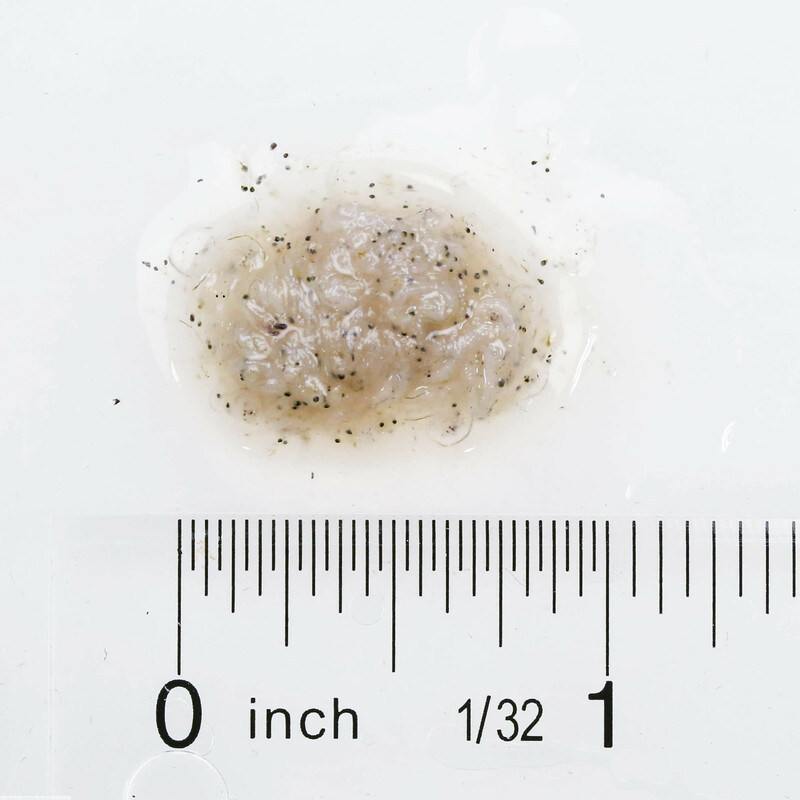 NOTE: Handling a frozen food that is derived from a live animal can cause the same allergic reaction possible by handling the live animal itself. To avoid potential problems, always wash your hands immediately after use and avoid contact with your nose and mouth prior to washing. Omg, when I tell you this is an incredible deal, that's an understatement! 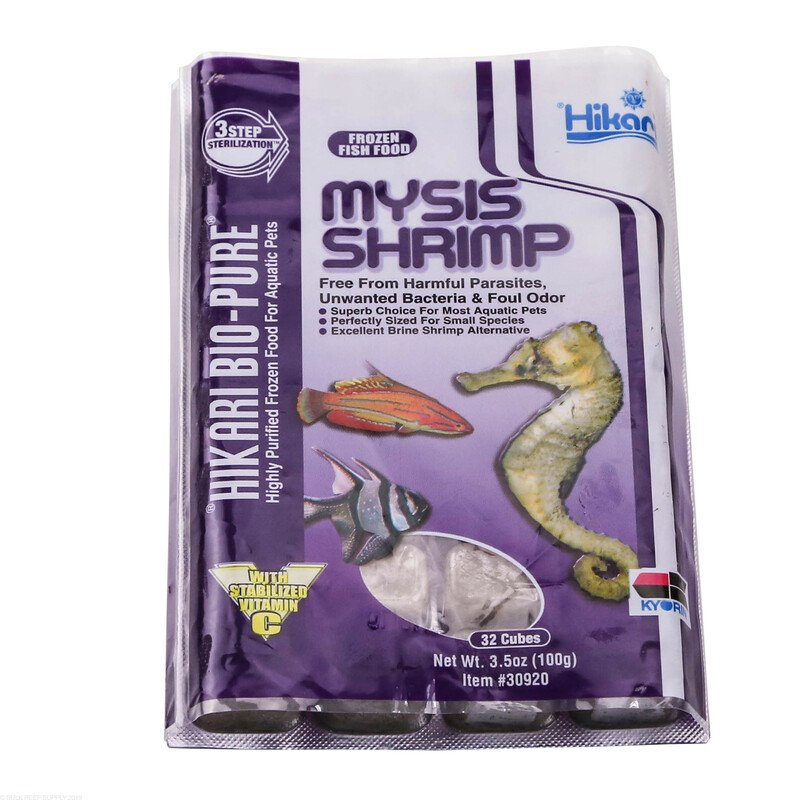 I ordered 15, 3.5oz blister packs of frozen mysis shrimp, and in less than 24 hours it was on my doorstep! Packeged impeccably with dry ice in a styrofoam cooler inside of a thick cardboard box. It was cold as cold can be! Everything was frozen solid. The 29 dollars for shipping is sooooo worth it when ordering items like this! Mysis Shrimp is hard to get on a regular basis in my area. Haven't been able to get any for 2 weeks so decided to order online. I was skeptical bc i was worried it would melt or something would happen. Nope! It didn't. 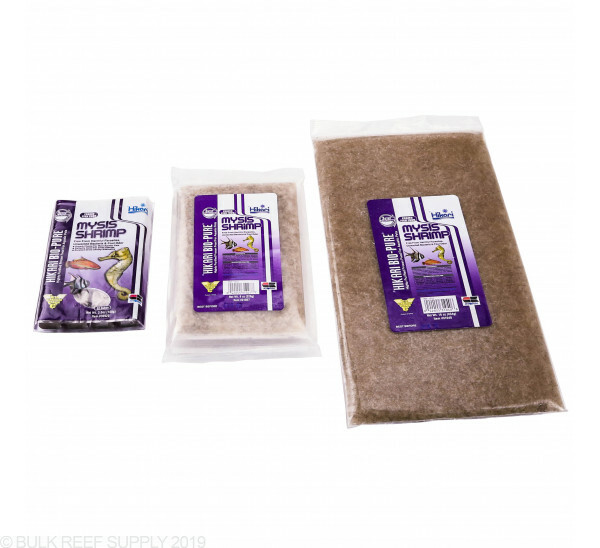 Bulk Reef Supply met and exceeded any expectations i had by far! Would DEFINITELY recommend ordering from them. Great prices and fantastic shipping and care taken with my order! I bought Hikari Mysis specifically to feed my spotted mandarin goby. 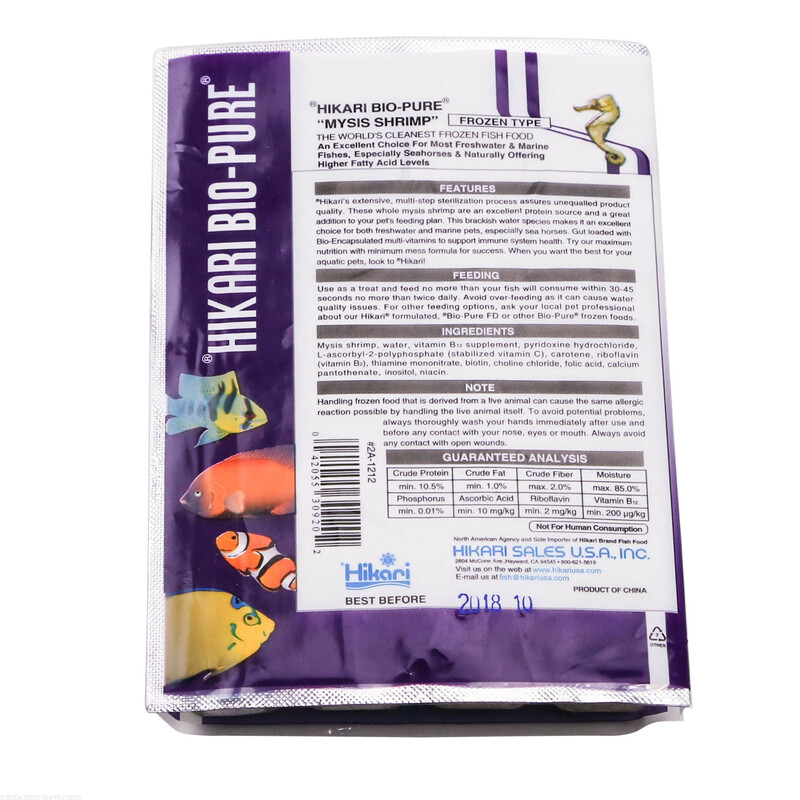 Hikari has produced a highly nutritious frozen food that is inticing, healthy and small enough for any fish to consume. My spotted mandarin is only about an inch long and he eagerly accepts the mysis every time I feed him. My clowns love it, as well. 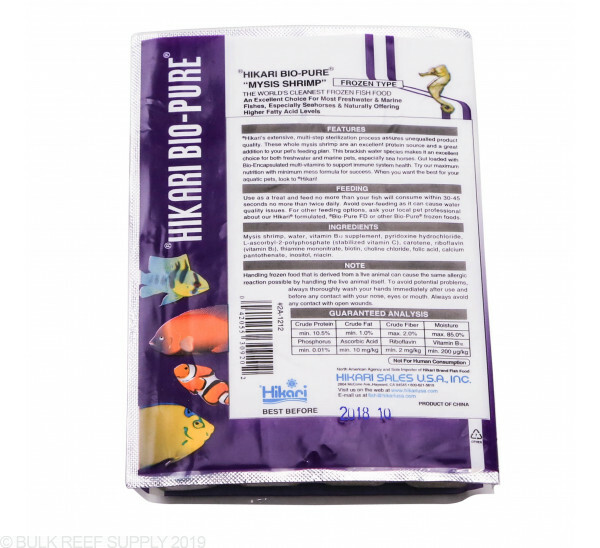 Highly recommend for mandarins, sea horses, angels and any other finicky marine fish. Recommendation: enrich with ZoeCon for optimum results (especially with mandarin fish). Just got my order Just in time! Fish were hungry and I saved about $30 vs going to the LFS for a year supply of food! I will definitely be ordering from here again when I need more food. The cubes were super frozen though so maybe don't let the food sit directly on the ice when shipping. Had a hard time getting the cubes out of the blister packs. I ordered a bulk supply of frozen foods they were received in foam boxes with a small amount of dry ice to keep things frozen. I'm very satisfied with my order and I saved a ton of money opposed to going to the lfs. One thing I would mention is the food should not sit directly on the dry ice as it could "burn" the nutrient content of the food.